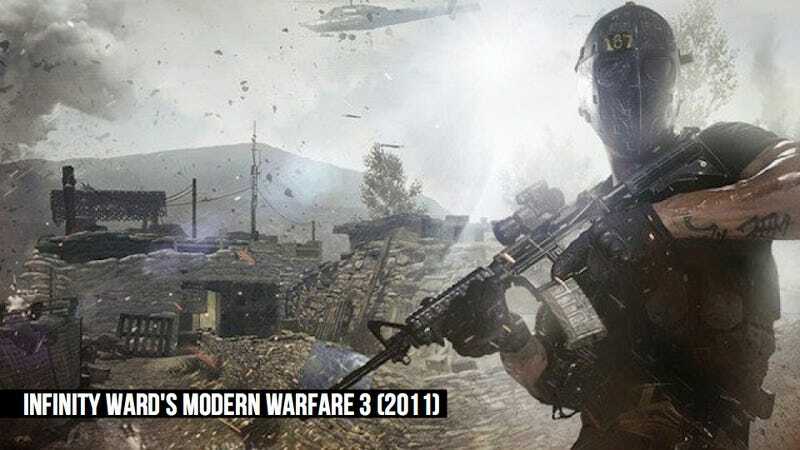 An Infinity Ward engineer's resume appears to corroborate recent reports that the studio's next Call of Duty title, presumably coming out next year, will include versions made for future-generation consoles. Alongside "XB2" (Xbox 360) and "PS3" on the list of platforms for the company's currently unannounced title—which is presumably a Modern Warfare 4—are "PC DX11" and an intriguing "TBA." Additionally, Infinity Ward is working on a "new high-end DX11 code base" for the game. Given the prohibitive costs of current AAA game production, it seems unlikely that the next-generation versions of Infinity Ward's next game will be an entirely different game from the current-generation versions, as was the case for Call of Duty 2; rather, a more feasible scenario is that current-gen versions are ported down from their cutting-edge counterparts. According to a job listing from earlier this month, id Software is developing "an unannounced game for future-generation consoles." The listing also mentions that "Familiarity with id Software games, characters, brands and universes" is a requirement — which basically narrows the possibilities to Rage, Wolfenstein, Quake, and Doom (technically, the anticipated Doom 4 hasn't been announced, even though id people have referenced it). John Carmack has said id would double down on a Rage 2 after Doom 4 shipped, which doesn't seem to be happening anytime soon. Barring the mobile Wolfenstein RPG, id hasn't directly developed a Wolfenstein game since Spear of Destiny in 1992, and Dutch site Gamer.nl recently made the rather plausible posit that Zenimax Swedish subsidiary Machinegames' long-in-development id Tech 5-based shooter is a new Wolfenstein title. So that leaves two candidates for id's next-generation title: Quake 5 and Doom 4. A few months prior to Rage's release, Carmack said that there was strong internal interest for a game that hearkens back to the Lovecraftian influence of the original Quake, but no such game was in development at the time. Following the apparent leaks of Doom 4 imagery, id's creative director Matthew Hooper commented that the "images have nothing to do with what you're gonna see in Doom4"—which almost suggests that id has gone back to the drawing board with the game. Could we see something of this mystery title at QuakeCon next week? In late June, THQ moved a small number of curious domains to a new server that might provide some insight into the company's future plans. Alongside two Saints Row-related domains, 1666amsterdam.com and 1666thegame.com appeared on the server. Some might recall that THQ filed a trademark application for "1666" in March, around the time THQ registered the two aforementioned domains. The ostensible historical context of "1666" led people to speculate that it could be related to the Great Fire of London — something that might mesh with THQ Montreal creative director Patrice Désilets' background on the Assassin's Creed series. However, the "1666amsterdam" domain does not seem like it could co-exist with something set in London, and although the Second Anglo-Dutch War was occurring at the time, nothing of note happened in Amsterdam during the year. The only other possibility that comes to mind is an Amsterdam Avenue, which does have a 1666 address — and the number in context of an address seems to evoke a horror subtext. Could "1666" be a new name for Guillermo Del Toro's InSane? Other domains THQ moved to new server include evolvedgame.com, evolved-game.com, endangergame.com, and endanger-game.com. In February, THQ filed a trademark application for "Evolve," which some surmised is connected to Turtle Rock's game for THQ. The latter two domains—which THQ registered two months ago—sound like a contingency name for the Turtle Rock title in case they cannot secure the "Evolve" name. Finally,NBA 2K developer Visual Concepts is apparently branching beyond sports simulations, according to a recent job posting. The listing, for a mobile game designer, says that Visual Concepts is "new venture developing innovative [new] IP for the mobile market." Particularly, the designer will "Generate new ideas and proposals for mobile casual games" and "Concept and balance core game mechanics like economy, progression, and rewards"—two lines that suggest these will be free-to-play, casual titles. Several other items under "Requirements" further buttress that these new games will target a very different audience than VC's traditional titles. The studio wants someone with an "Understanding of simple, effective UI design for a casual user base" and "Experience creating and balancing meta-game and RPG-style progression systems." Since the NBA already has its own social gaming efforts, this is unlikely to involve a basketball in any way.